Designed for perforated plastic. Seven designs for refrigerator magnet frames. 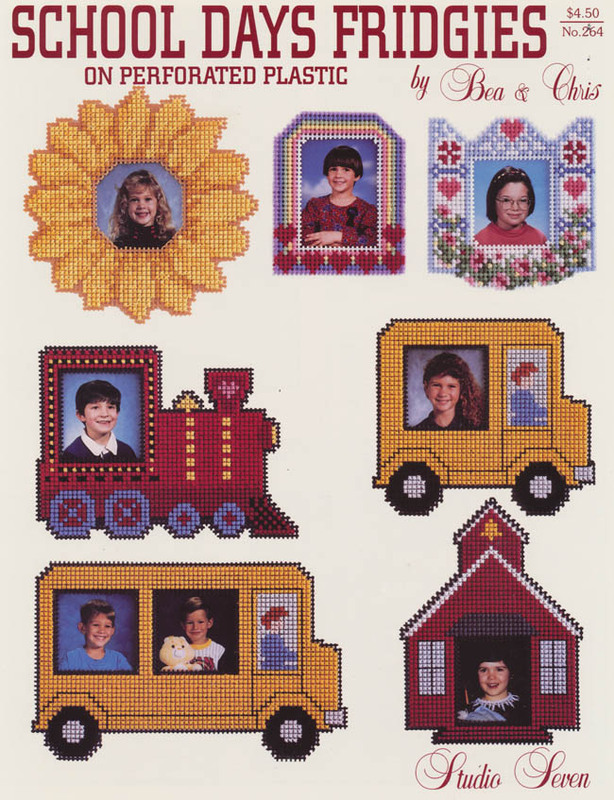 Sunflower, two school buses, rainbow, train, window and school.